We understand that feeling when you hear the words “You have breast cancer”. You are not alone. You are a cancer fighter, whether you just found a breast problem, newly diagnosed, in treatment now, have completed treatments years ago, are a caregiver, co-survivor, family, friend supporter or healthcare provider. 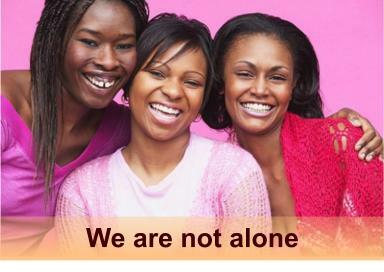 AABCA wants to help you build an emotional and social network of support.